Singer and actress, Michelle Diamond Gbagonah, popularly known as Shatta Michy turned 25-years old yesterday, May 6, 2018. 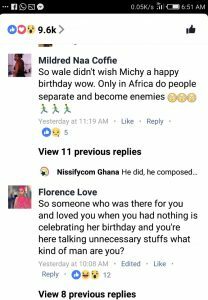 Michy is not a hidden name when it comes to showbiz in Ghana. 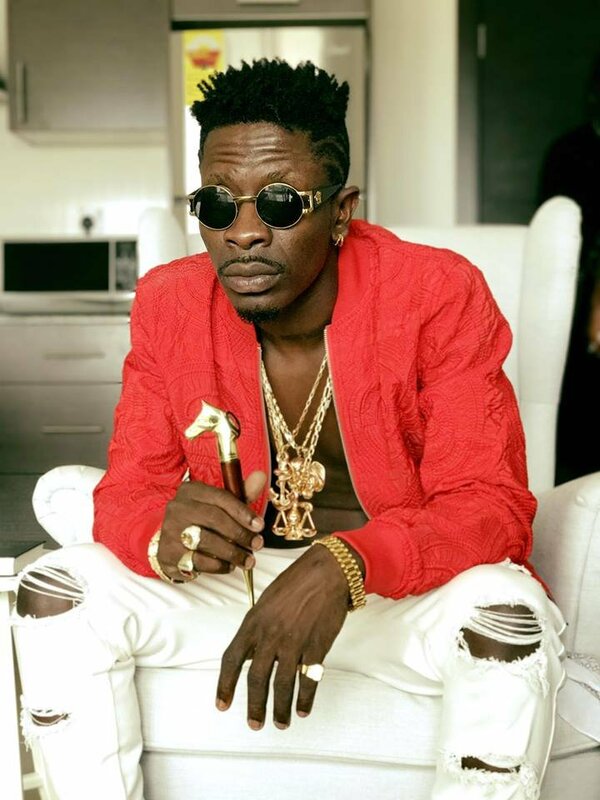 Many know her as the long-time girlfriend and baby mama of dancehall act, Shatta Wale. As usual, many of her fans and Ghanaians took to their various social media handle to wish her a happy birthday. 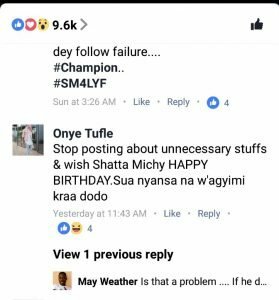 However, one thing that baffled most Ghanaians was the fact that Shatta Wale did not wish her on any of her social media handles. Neither did he even post a photo of the woman whom he claimed had helped him a lot on any of his social media pages. This of course angered a lot of social media users who couldn’t help but to descend on the ‘Baby’ hitmaker. Some of his followers were seen raining insults on him of his Facebook timeline. Others too couldn’t help but to ask if this was how he was going to pay Michy back after all they’ve been through?. Meanwhile, Michy went about her normal activities and celebrated the day in a private birthday party.